In Afghanistan, there are separate schools for girls and boys and it is estimated that only 16% of schools are for girls. Many rural and displaced girls are unable to attend school regularly. 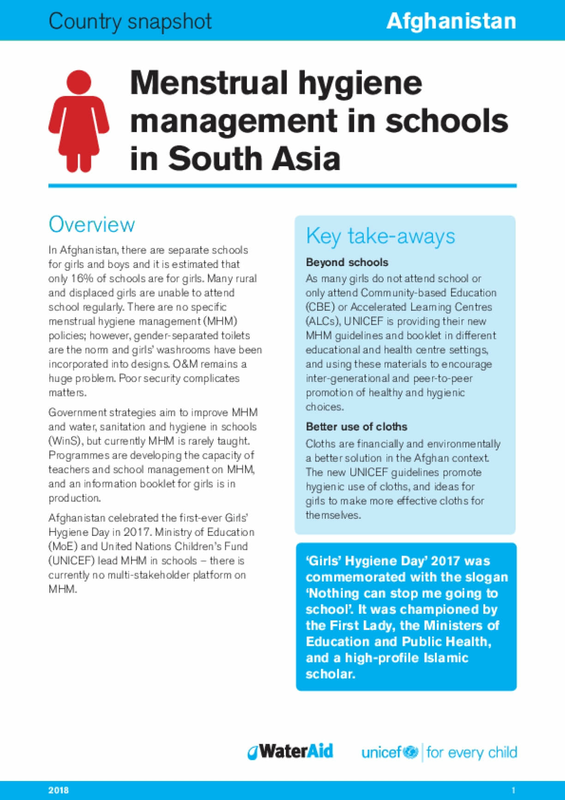 There are no specific menstrual hygiene management (MHM) policies; however, gender-separated toilets are the norm and girls' washrooms have beenincorporated into designs. O&M remains a huge problem. Poor security complicates matters.